AutoCarIndia first reported in the beginning of this year that T-Jet versions of Fiat Punto Evo and Fiat Avventura shall be introduced anytime in this year(2015). There are few spied photos of Fiat Punto TJet which has come into AutoCarIndia’s Radar last week. A Facebook Fiat fan page posted photos of Fiat Punto TJet (The Facebook link is now removed). 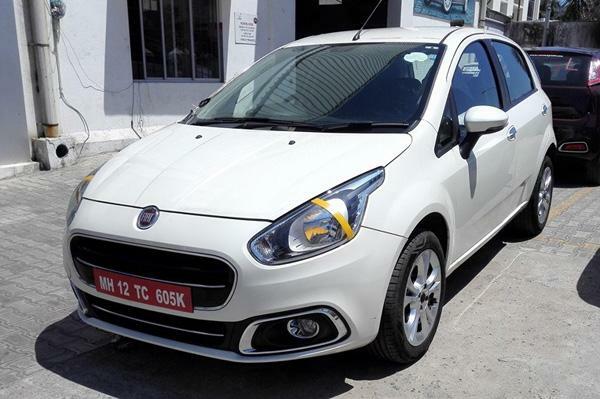 Fiat Punto T-Jet is a car with a power of 135 bhp, comes with 1.4 litre turbocharged petrol engine which is coupled with a 5 speed manual gearbox. Fiat Punto Evo’s engine uses a very different turbo-charger than that of Fiat Linea T-Jet, that is why it has higher power of 135bhp and not as Linea’s 113bhp. 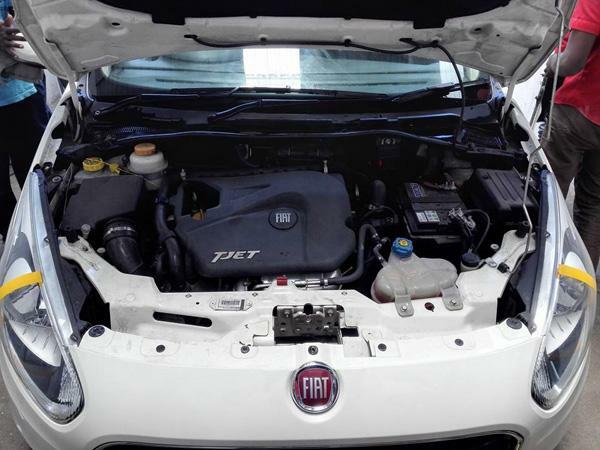 The engine which is used in Fiat Punto T-Jet is not the same as that of Avventura. 4 wheel disc brakes and a 16-inch alloys can be expected in the special edition of Punto Evo. Fiat Punto Evo and Fiat Avventura weighs as much as a typical mid-size sedan, which takes a slight toll on performance of the car. The added 20kgm of torque from the T-jet motor acts as an advantage for car handling capabilities. As T-jet engine is under the hood, the Punto Evo would be the very powerful car in its segment. The Punto Evo T-Jet is going to directly compete with rivals like Volkswagen Polo GT TSI, even though both these cars offer very different mechanical packages. While the Volkswagen Polo is powered by a modern 1.2 litre, direct injection turbo motor coupled with seven-speed dual-clutch automatic gearbox, the Fiat Punto would derive power from turbocharged engine and a manual gearbox, which is good to impress enthusiasts. 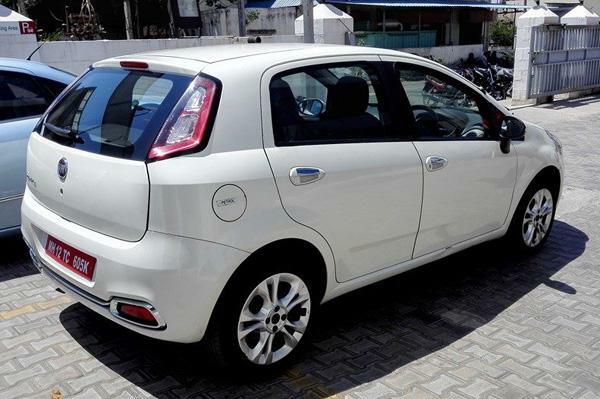 The price of Fiat Punto Evo T-Jet is expected to be around 10 Lakhs. Most fuel-efficient bike: Hero Splendor iSmart or Bajaj Platina ES?